Pete is a consultant, facilitator and coach with an international background in leadership and organisational development. Pete has worked at Roffey Park Institute for five years, and despite having leaving full-time employment continues to work as a tutor on the Roffey Park MSc in People and Organisational Development, their Post-Graduate Certificate in Coaching. He is also Programme Director for their Embodied Leadership open programme, which he created. Whilst working with Roffey Park, Pete worked with a range of organisations, including KPMG (for whom he has been a coach as well as conducting research), the Equality & Human Rights Commission, the Institute of Cancer Research, the Biotechnology and Biological Sciences Research Council, Lloyds Banking Group, AXA, Control Risks, University of Reading and Virgin Atlantic. In addition he has been heavily involved in Roffey Park’s expansion to Asia, delivering programmes there with both public and private sector organisations. Previously, Pete led the creation, delivery and evaluation of a highly successful leadership development action-learning programme for KPMG, and was heavily involved in the design and delivery of programmes in the NHS and in local government. 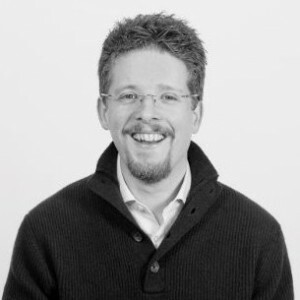 Formerly UK Managing Director of a European online recruitment consultancy, Pete has led projects in change management, leadership development, and organisational re-design. Following a BSc (Hons) in Physics & Astrophysics from the Queen’s University of Belfast, Pete trained as a consultant with Fast Future Ventures, focusing on strategy, innovation and futures & scenario planning. His clients included the Ministry of Defence and ABN Amro. He also worked on new venture development and gave organisational coaching to numerous start-up companies. In his international volunteer work Pete has served in executive positions with both the UK and Italian chapters of the youth leadership development charity, AIESEC. He has also acted as an advisor to PeaceDirect, an organisation aimed at conflict resolution and prevention, and a volunteer coach with troubled young people through the charity Youth at Risk. Pete is the only executive coach in Europe to have completed an intensive four-month training internship with Dr. Richard Strozzi-Heckler at the Strozzi Institute for Embodied Leadership. He has been certified as a Somatic Leadership Coach and has completed a Certificate in Humanistic Counselling with the Gestalt Centre in London. He has also completed an MSc in Change Agent Skills & Strategies at the University of Surrey, where his dissertation focused on conflict in teams. In addition Pete is licensed to deliver Barry Oshry’s Organisation Workshop and is certified to use the FIRO-B and SDI psychometrics. Pete practises the martial art of Aikido, reads across a wide range of topics, and enjoys travelling on adventures to various parts of the world. He has published articles in a range of publications, including The Times, HR Magazine, People Management, The Retailer, and Charities Management, and is currently writing a book on Embodied Leadership.